I bought this pen from Itoya in Tokyo for 100 YEN (a bit less than a $1USD). It is a roller ball with a 0.5mm point. The ink is ultra smooth and fast drying. I put the Uni-Ball 5 up again three other traditional roller balls, the Pilot V Ball, the Pilot Precise Rolling Ball, and the Uni-Ball Deluxe Micro (all 0.5mm). The Uni-Ball 5 was the clear winner for me. The lines are tight and sharp and it’s the smoothest writer out of all of them. 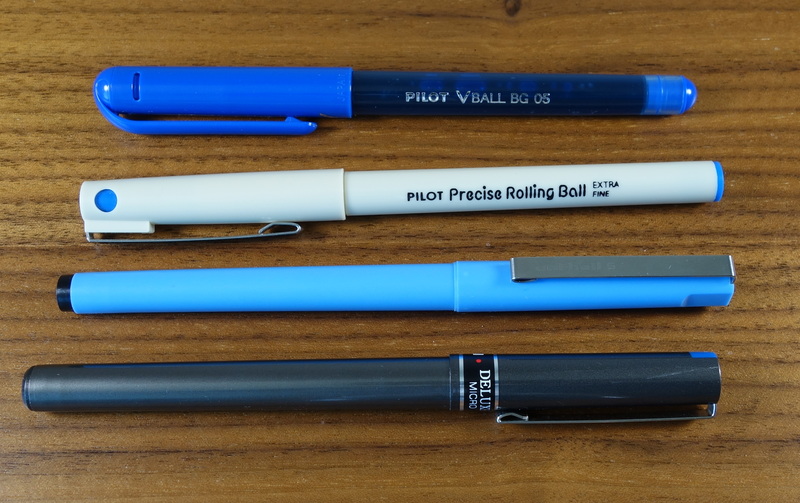 In terms of price its most clear competitor is the Pilot Precise Rolling Ball and comparing them more closely the Pilot had a more liquid and fluid feel where the Uni had a more viscous, thicker feel (though clearly a liquid ink). I also found that the dry times for the Uni-Ball 5 were faster than that of the Pilot Precise. With that said the Pilot Precise’s feel on paper is more unique and a bit more fun but objectively it really isn’t a better pen. 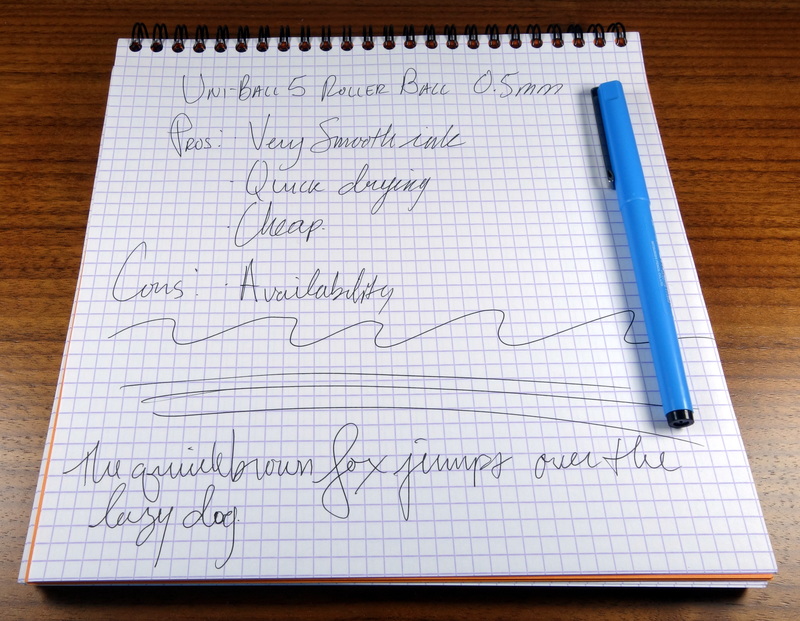 In short the Uni-Ball is the best writing disposable roller ball pen I have come across under $1. I almost think I might like it better than the Ohto Graphic Liner. I don’t know how to buy them in the USA, so if anyone out there knows of a place or has more information on this pen I would love to hear from you. That blue is so pretty! And since you said that it’s the best writer, I’d love to get my hands on one someday!